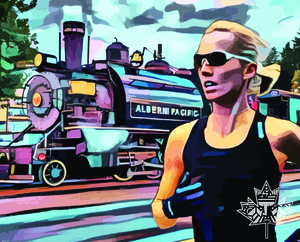 All-out foot races begin at the Harbour Quay E&N Railway Train Station, home of Port Alberni's Iconic 1929 No. 7 Baldwin Steam Train. Sign up for all three by clicking REGISTER FOR SERIES! 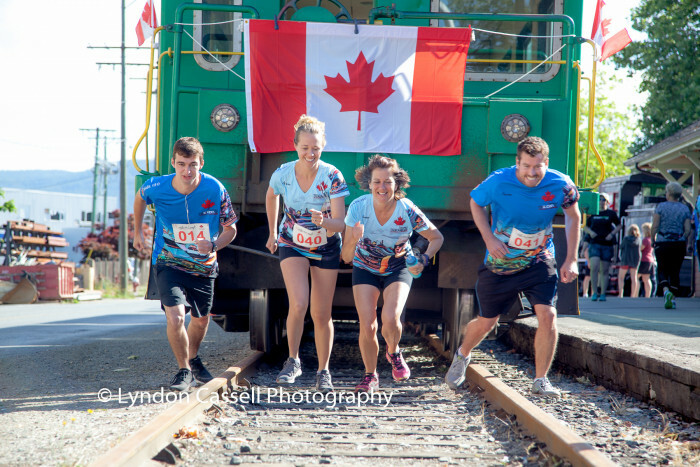 The Tri-Conic Challenge was an initiative of the Alberni Valley Chamber of Commerce that was supported by Canada 150 as a Feature Event aimed at celebrating Canada's Heritage. The Alberni Valley Chamber of Commerce extends its thanks to Canada 150 for believing in our vision so that we could bring this incredible event to the Alberni Valley. 10K. Starts at E&N Train Station in Port Alberni. Winds through town up through Cherry Creek and ending at the McLean Mill National Historic Site. Transportation back will be provided with early registrants having best chance of returning by train. Others will return by bus or other transportation options. Family activities at the McLean Mill will be significant. Plan to stay for a while. Registration will open at 7:00am at the Train Station. Iconic Run (Marathon) starts at 8:00am from the Train Station. Smolts also get a FREE Train Pass included with their registration. Half Marathon and 10km runners your race starts at 10:00 so you will be able to watch you kids race before you do! Tours of the site included as well as music, car show and other events. This will be a STEAM-UP Weekend thus expect to marvel at the many historical Steam Products. All registrants will receive a Transportation Pass for the return trip to Port Alberni. The train with a capacity of ~ 185will leave at 1:00pm and again at 4:00pm.